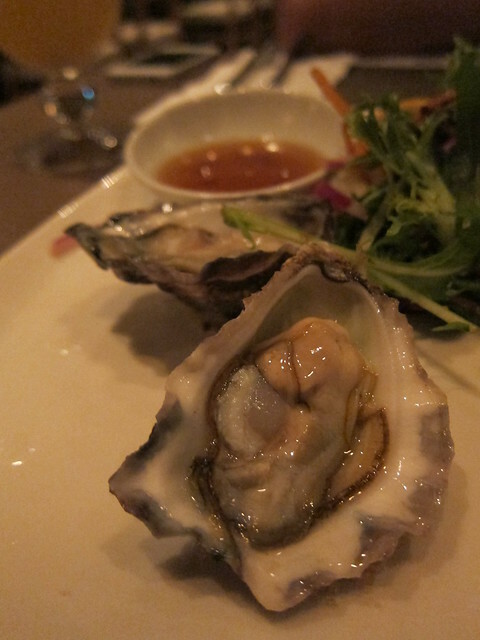 The freshly shucked Australian oysters were a delight; undeniably fresh and succulent but oh my god the tiny portion! Did they have a specific Groupon-size oysters for dinner makers like me? We were quite tempted to order an extra half a dozen – afterall, what is one oyster per person when you are an oyster lover? – but at $198 a pop we thought we could try out something else. 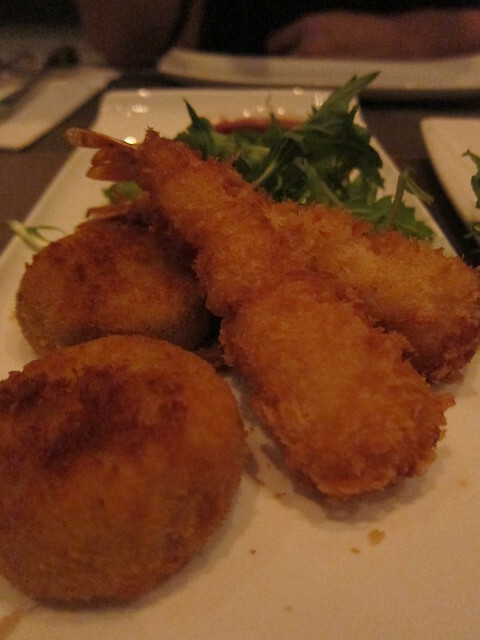 The breaded prawns were fresh and juicy, with the barter cooked to a perfect crisp without being overly greasy. The crab cakes, however, tasted odd to me, like some sort of otah without the chili sauce. Again, at one piece each, our stomachs were hardly stuffed to the brim, though we were adequately satisfied. Now this is a dish I could recommend, and it was not part of the set dinner. 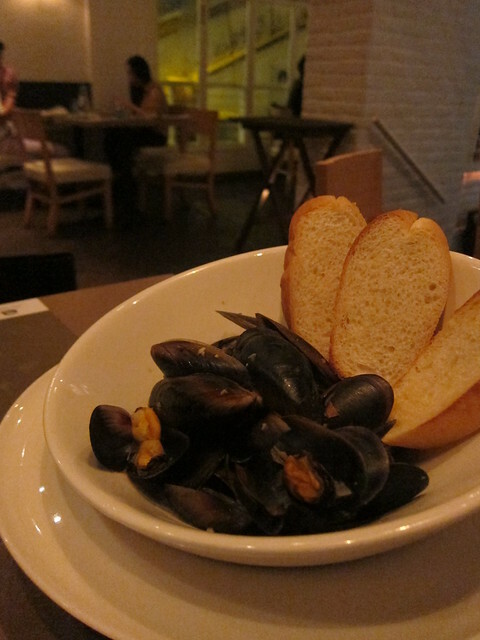 Though the mussles were small in size and, according to my friend, were hardly half a kilo as of the usual fare for a dish like this, they were succulent and juicy, cooked just enough to retain its musky taste which is a favorite of mine. The bread were meant for us to soak up the leftover sauce, and of that we did. 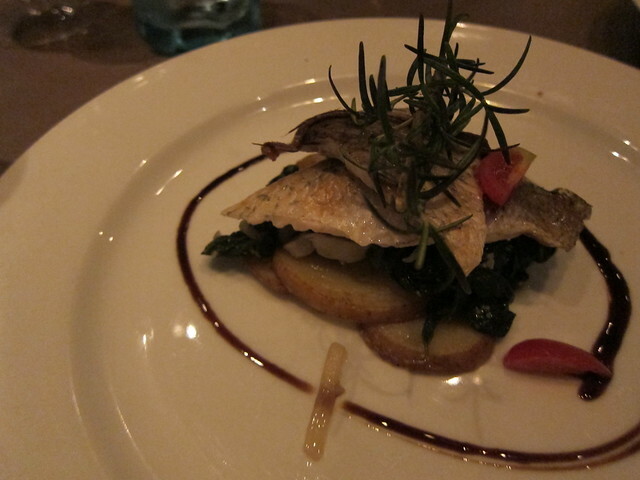 This fish dish, cooked with wild mushrooms and dill potatoes, didn’t wow us. Over salty at places, the fillet was cooked just nice without being overly dry, but the remaining ingredient seem somewhat out of place in this combination. This was my first time trying a Pavolova. A Pavlova is a meringue cake with a light, delicate, crisp crust and a soft sweet marshmallow center, and this dessert was just that. 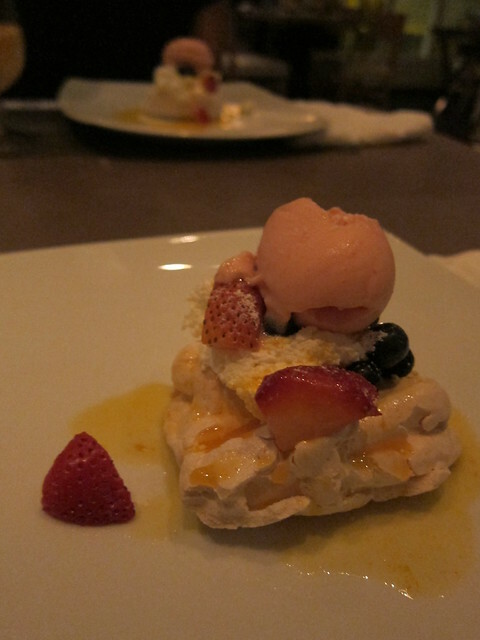 I couldn’t understand its appeal – to me a dessert ought to be either rich and creamy, or light and fruity, and the Pavlova hovered somewhere in between. I suspect it would have went down much better with a glass of dessert wine. 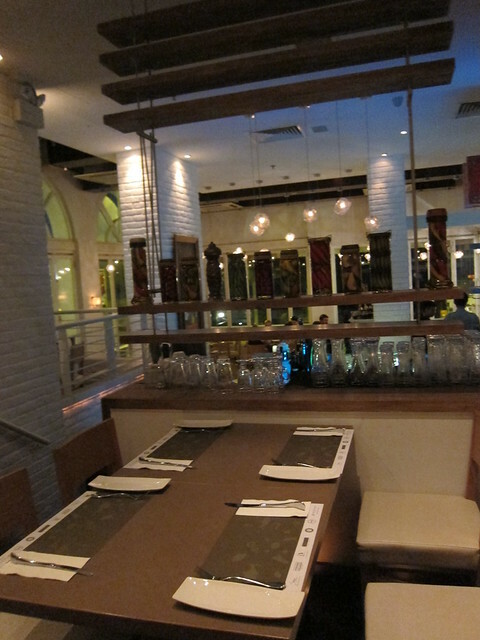 All in all, a satisfying dining experience but not one I would brave the Friday evening traffic again. 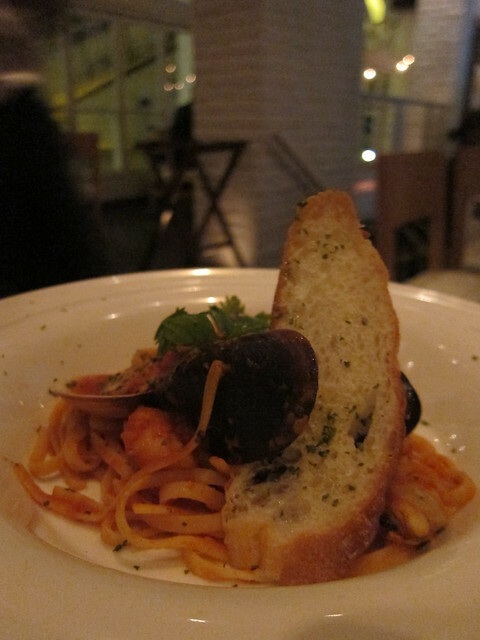 The whole meal, if ordered ala carte, would have cost us more than $1000, but with our Groupon deal we spent about $700. I’d recommend this place for a date, especially during autumn. Apart from its nice interior (you couldn’t help but feel you are away on a seaside holiday), that promenade of Stanley would make a perfect hand-in-hand strolling spot during the mild weather. Try to time your visit during full moon nights for maximum romantic effect.